For more event information, pictures and reviews, please also check "Events" on the German part of our website. Dennis Jale - New concerts! I.a. with the TCB Band and The Imperials! 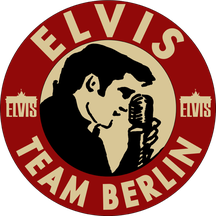 The Elvis Team Berlin is a media partner again for the Elvis-Das Musical Tour in 2018. The tour is being planned out at the moment. As soon as the planning process has finished, we will inform you about the dates and locations! Stars in Concert at the Estrel hotel in Berlin: If you plan to travel to Berlin, take the chance to see "Whitney Houston", the "Blues Brothers", "Madonna" and many more!